PhD. Images & Systemes, INSA, Lyon, France. D.E.A. Biomedical Engineering, INSA, Lyon, France. M.S. Systems and Computing Engineering, Universidad de los Andes. B.S. Systems and Computing Engineering, Universidad de los Andes. Quantification de l’aération pulmonaire chez les patients avec le syndrome de détresse respiratoire aigüe (SDRA), à partir d’images scanner. Funded by Ecos-Nord program (Project No. C15M04). 2015-2017. Détection d’anomalies dans les arbres vasculaires. Funded by Ecos-Nord program (Project No. C11S01). 2011-2013. Funded by Colciencias (Project No. 1204-519-28996). 2011-2013. Fungal disease host range, progression, and prevalence in gorgonian corals at Eastern Pacific reefs. Funded by the Office of the Vice President for Research at the Universidad de Los Andes. 2010. Por qué están desapareciendo las poblaciones de abanico de mar en el Pacífico Oriental? Impactos nacientes del las enfermedades y la acidificación oceánica sobre el crecimiento de los corales gorgonáceos. Funded by the Office of the Vice President for Research at the Universidad de Los Andes. 2009. Indicadores de acidificación global de los océanos: estudio no destructivo de los canales internos de octocorales y tasas de calcificación por medio del análisis de imágenes biológicas y médicas. Funded by the Office of the Vice President for Research at the Universidad de Los Andes. 2008. Génération de fantômes vasculaires patient-spécifiques à partir d’images médicales 3D. Funded by Ecos-Nord program (Project No. C07M04). 2007-2009. Infraestructura de software para la extracción, manejo y fabricación de modelos geométricos del sistema vascular de irrigación de cerebro y corazón. Funded by CIFI-UniAndes (Project No. 24). 2006-2007. Estudio de la hemodinámica a través de una estenosis de la bifurcación de la arteria carótida y su influencia en las observaciones clínicas. Parte II: Integración del análisis de imágenes médicas y hemodinámico para la toma de decisiones en pacientes con enfermedad arterioesclerótica carotidea. Funded by Colciencias (Project No. 120404 – 16468). 2005-2006. Medición de la variación del diámetro y del flujo de un vaso sanguíneo en la microcirculación y determinación del esfuerzo cortante sobre el endotelio, mediante el procesamiento de imágenes digitales de microscopía. Funded by CIFI-UniAndes. 2005. Estudio de la hemodinámica a través de una estenosis de la bifurcación de la arteria carótida y su influencia en las observaciones clínicas. Funded by Colciencias (Project No. 1204-04-11887). 2004-2005. Analyse interactive et stockage distribué d’images médicales 3D. Funded by Ecos-Nord program (Project No. C03S02). 2002-2004. PLAMAIVIC (Plateforme d’Analyse Multimodale Avancée d’Images à Visée Clinique). Funded by French Ministry of Industry. 2003. Computer Assisted Analysis of 3D MRA Images and MARACAS Software. Funded by CARENA S.A. and Biocrit – Ile de France.1998-2002. Marcela Hernández Hoyos was born in Bogotá, Colombia. She received her undergraduate degree in 1993 and her MS degree in 1996 in Systems and Computing Engineering, from the Universidad de Los Andes (Bogotá). In 1998 she obtained a MS degree in Biomedical Engineering from the Center for Research and Applications in Image and Signal Processing (CREATIS Lab.) at the National Institute for Applied Sciences (INSA) of Lyon, France. She subsequently carried out research on vascular image processing at the same institution under an industrial grant. In 2002 she obtained her PhD degree with honors. The main result of her PhD work is the MARACAS (MAgnetic Resonance Angiography Computer Assisted AnalysiS) software, which was acquired by Hitachi in Japan. Since 2004 she has been involved in teaching and research activities. 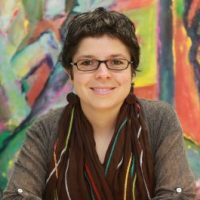 Presently, she is working as associate professor at the Systems and Computing Engineering Department of the Universidad de Los Andes. Her main research interest is in medical image processing with particular emphasis in pulmonary, vascular and neuro-degenerative pathologies. Among her most important research achievements is the granting of an invention patent (in Japan, in United States and in the European Community) on a method of abdominal adipose tissue segmentation and quantification. In the academic field, Professor Hernández has been permanently recognized for her teaching qualities. Currently, she is in charge of the coordination of the programming courses at the University and she has developed multiple pedagogical innovations in these courses, which resulted in the creation of a Coursera MOOC, which was rated one of the top 20 best MOOCs launched in 2017 according to the Central-Class platform (among 2000 courses evaluated). Between 2009 and 2012 she worked as Deputy Head of the Systems and Computing Engineering Department and later as Vice Dean for Academic Affairs of the Engineering School. Download information about this collaboration in French / in Spanish (29kB PDF file in French). Download information about applications for training periods in CREATIS for students from Universidad de los Andes in French / in Spanish (19kB PDF file in French). Grupo Takina. Pontificia Universidad Javeriana, Bogotá, Colombia. Dépt. Image et Traitement Information – ITI. Télécom Bretagne, Brest, France. Centre de physique des particules de Marseille – CPPM, Marseille, France. Machine learning, perception and discovery Lab. Universidad Nacional de Colombia, Bogotá, Colombia. Department of Information Technology. Uppsala University, Uppsala, Sweden. BIOMMAR research group. Universidad de los Andes, Bogotá, Colombia. Hospital Universitario de San Ignacio – Servicio de Radiología e Imágenes Diagnósticas, Bogotá, Colombia.